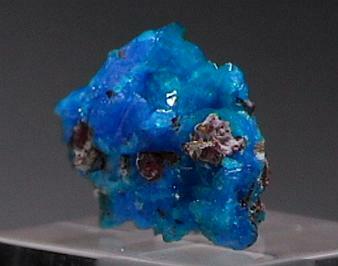 Obviously while in Europe there are opportunities to find good specimens from the continent. 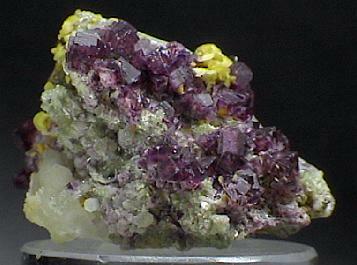 The following are a random offering of material not included in the Romanian, pink fluorite or Spanish sphalerite specimen pages. 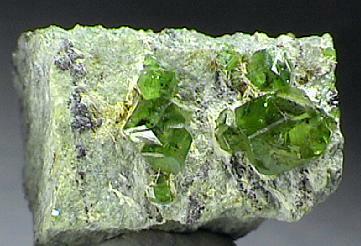 Specimen of the rarely seen manganese rich variety of diopside. 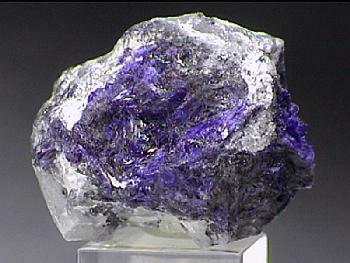 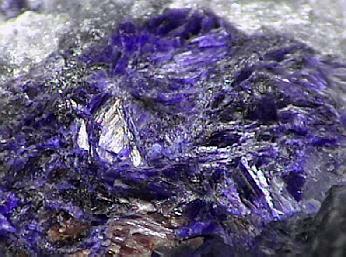 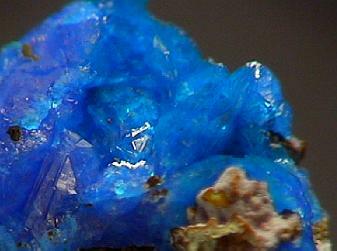 Though close to azurite in appearance it is most definitely not due ot its hardness. 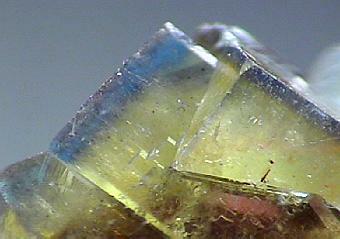 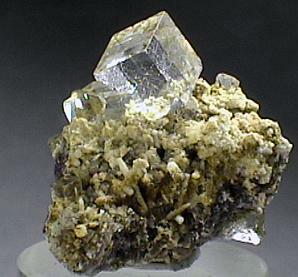 Specimen of liroconite crystals to 3 mm on massive liroconite and matrix. 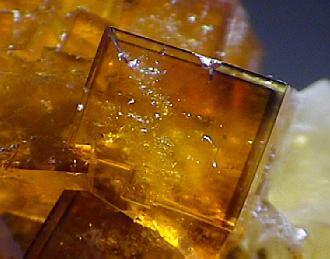 Liroconite is a very rare copper aluminum arsenate with some water mixed in for good measure. 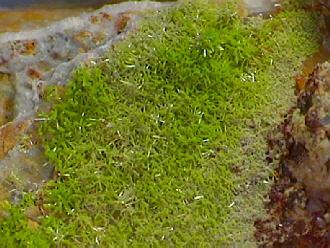 This rock has a whole lotta stuff going on here! 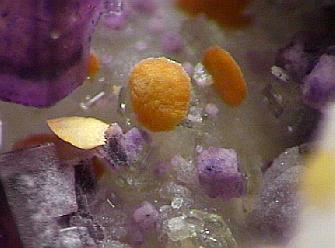 First it is a quartz crystal with a second generation of micro drusy quartz upon which has been deposited crystals of violet color zoned fluorite to 0.4 cm across along with numerous 1-2 mm crystals of colorless apatite and tabular crystals of siderite. 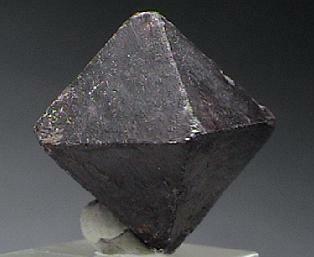 When you look at the center of the quartz numerous crystals of schorl can be seen included in it. 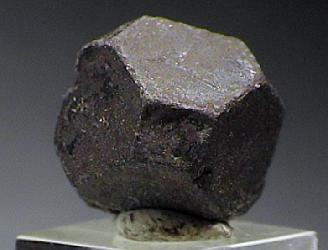 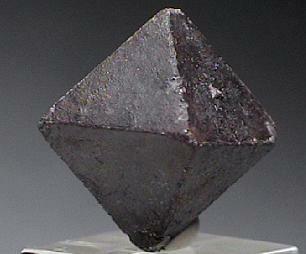 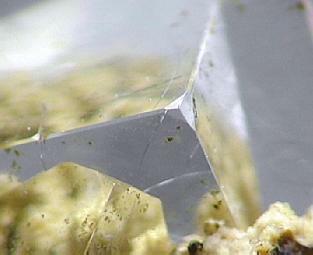 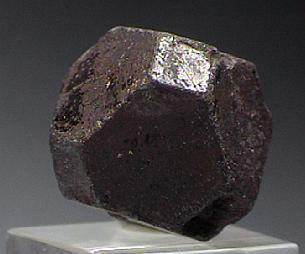 As close to a perfect octahedral crystal as you could hope for of this rare manganese sulfide species. 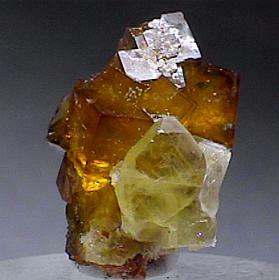 This is the old classic locality for this species noted for producing the world's finest crystals of Hauerite. 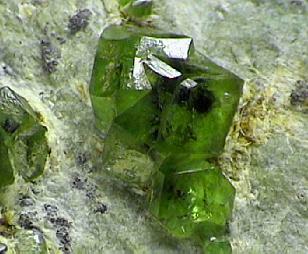 If someone wants both specimens of hauerite (EU21 & EU22) I will sell them both for $400. 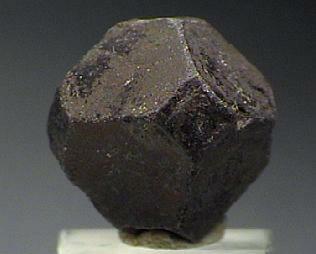 Octahedral crystal modified by cubic faces of hauerite. 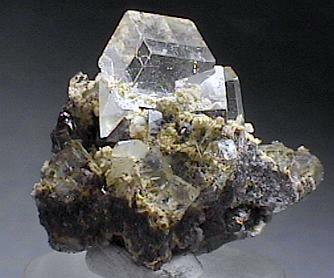 This is the old classic locality for this species noted for producing the world's finest crystals of Hauerite. 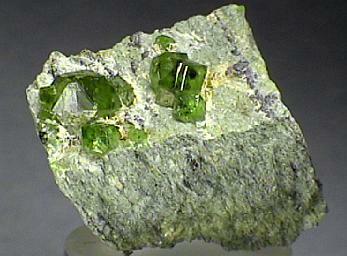 If someone wants both specimens of hauerite (EU21 & EU22) I will sell them both for $400. 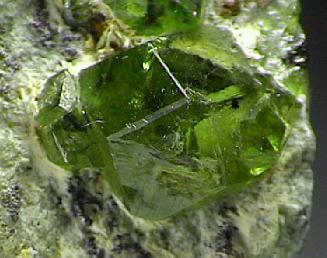 Superb crystals of gem quality demantoid garnet on serpentine matrix. 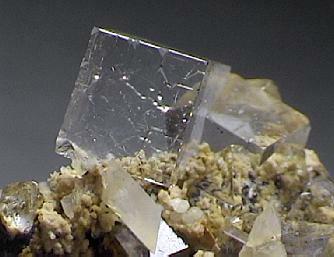 The largest crystal is 1.2 cm across and considered very large for this variety. 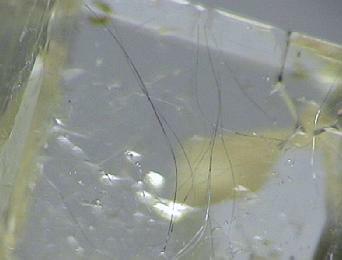 A very fine specimen from this famous dematoid locality! 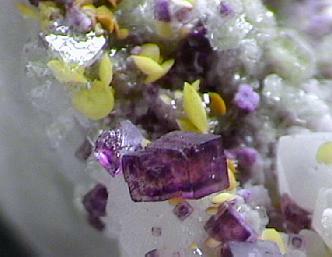 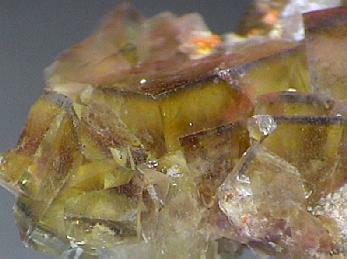 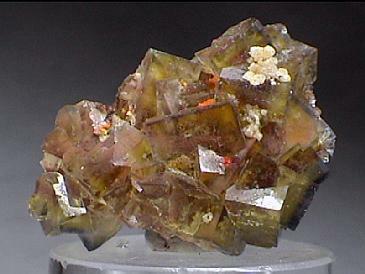 Cluster of cubic color zoned fluorite cyrstals to 1.2 cm across. 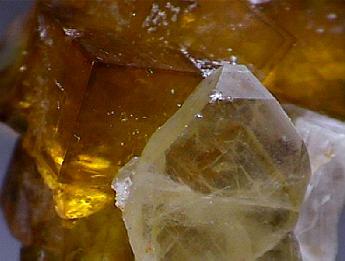 Cluster of deep amber colored fluorite crystals to 0.8 cm across with a 1.3 cm crystal of zoned barite. 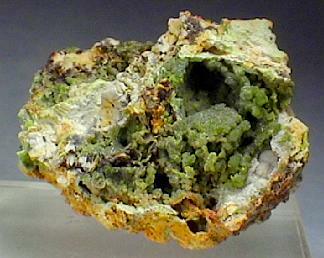 Interesting locality specimen. 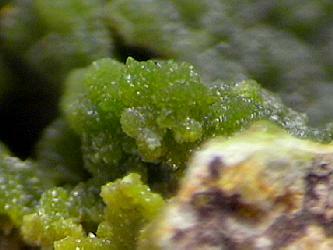 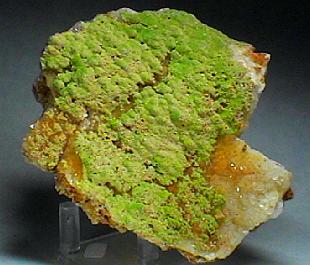 Micro crystalline pyromorphite as druses is set on barite matrix. 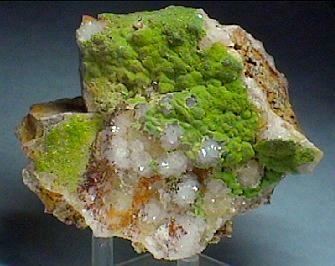 Specimen of crystalline quartz covered with abundant micro crystals of pyromorphite. 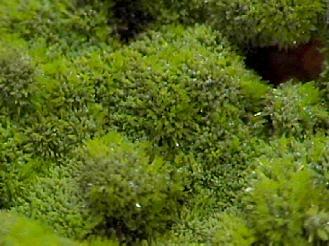 The habit is moss-like. 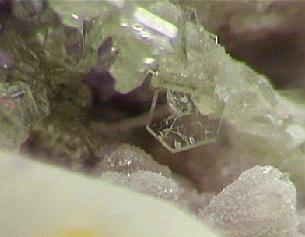 Under magnification myriad small prismatic crystals are visible.